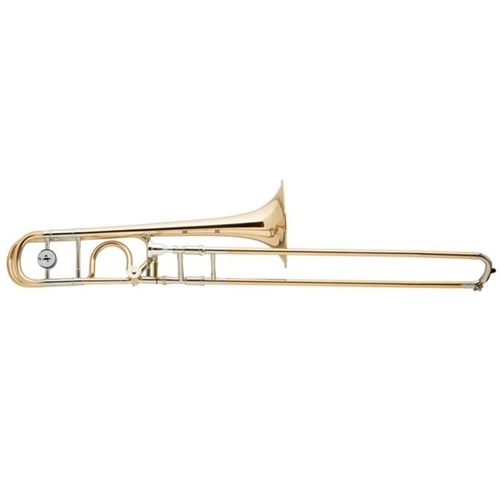 The JP332O Rath Bb/F tenor trombone is well suited to intermediate players and players looking for an instrument to take them up through the grades. This instrument would sit in easily in an orchestral trombone section, and likewise, brass bands and the lower parts in a big band. With an unparalleled level of craftsmanship, the JP332O Rath is the result of many years of development and features some exclusive components that players won't find on other instruments. A custom designed Rath leadpipe was created especially for the JP332O Rath which gives excellent response in all registers whilst retaining support for inexperienced players. The instrument also features an ergonomic thumb lever which is easy to adjust for smaller hands.